Jon Eriksen is a musician and video artist. 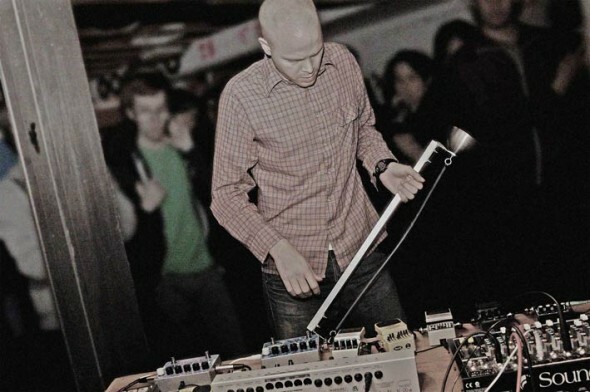 As a noise musician Eriksen has, since 1999, been playing improvised sets at venues and galleries in Austria, Denmark, Finland, France, Germany, Italy, the Netherlands, Norway, Sweden, and the USA. His music has been released on labels in Austria, Belgium, Germany, the Netherlands, Norway, Russia, Sweden, and the UK. His video works are made from found material; he utilizes short snippets from television and feature films and works with them in loops and cut-up sequences. The video works are dominated by collisions, noise theory, and overdrive aesthetics. His video works, sculptures, and installations have been shown in galleries and festivals in Norway, Sweden, USA, and the UK. Eriksen lives and works in Malmö, Sweden.